When people ask what makeup brand I remember most from my childhood I always have two answers- Lancome & Wet n Wild. Lancome might seem odd but it is flowing through my beauty loving soul thanks to my mother. She is an avid user of Lancome to this day & playing with her products that were so fancy to me was always an awesome experience…whether she knew it about it or not. I always keep an eye out this time of year because you can usually score an amazing deal. 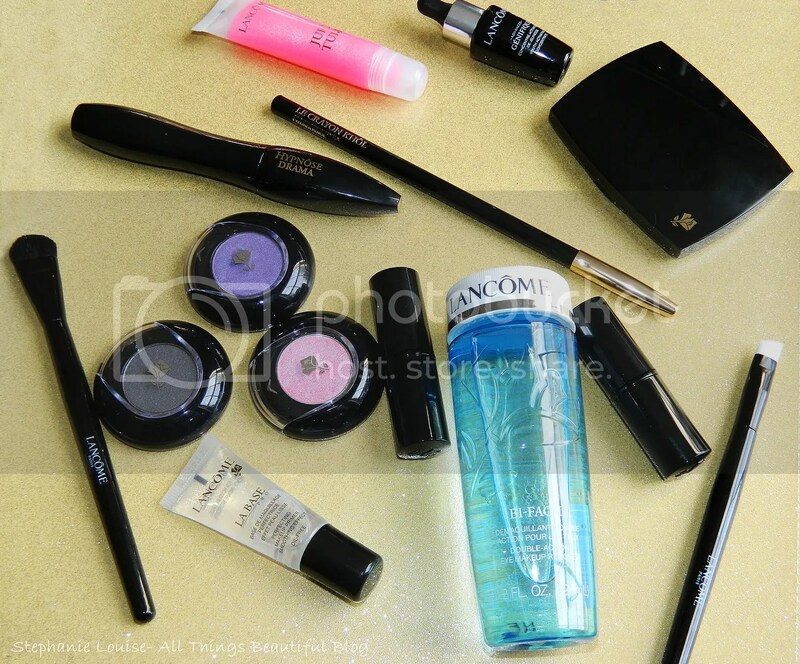 The Lancome Holiday Beauty Collection for 2013 has two options: either the Classic Collection or Dramatic Collection. 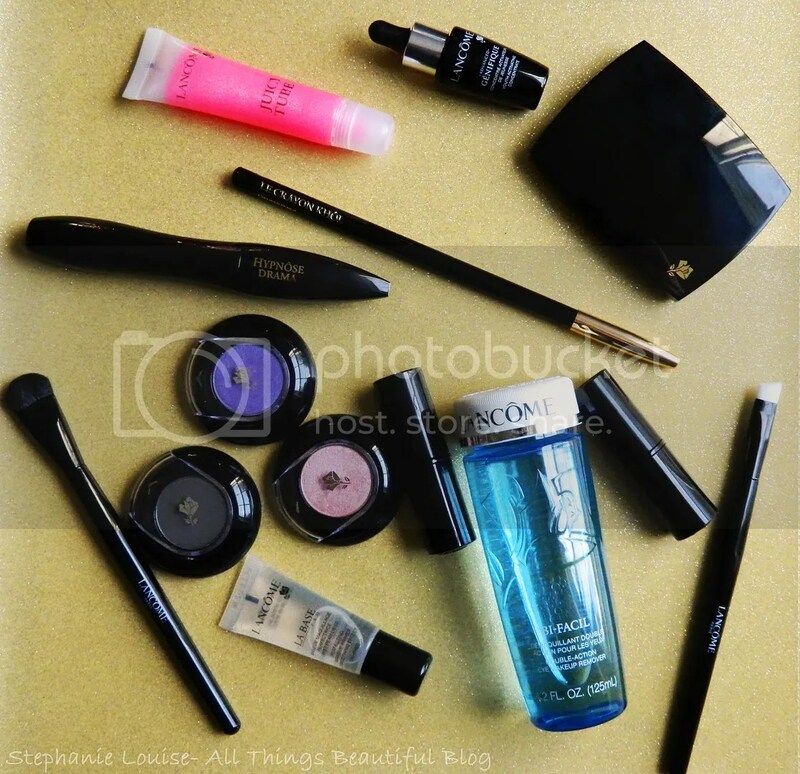 Today I’ll be showing you the Lancome Dramatic Collection which retails for $59.50 & has a $315 value! First let me share with you my fist impression/haul type video. In this video you can see what the box looks like & what I thought about the bag these items are stored in. I honestly couldn’t get a decent picture of the bag because it is awkward & has red satin inside. Not my favorite bag but again, I didn’t buy it for the bag! Inside we have 12 full sized items & 2 deluxe samples. I figured the easiest way to let you know what I think was to break this down into topics which I’ve put in bold below: Tools/Skincare, Eyes, Cheeks, & Lips. Lancome La Base Pro (Deluxe Sample)- When it comes to flawless face makeup I find primers to be a must. This particular primer contains dimethicone which does break out/clog some pores but luckily not mine. 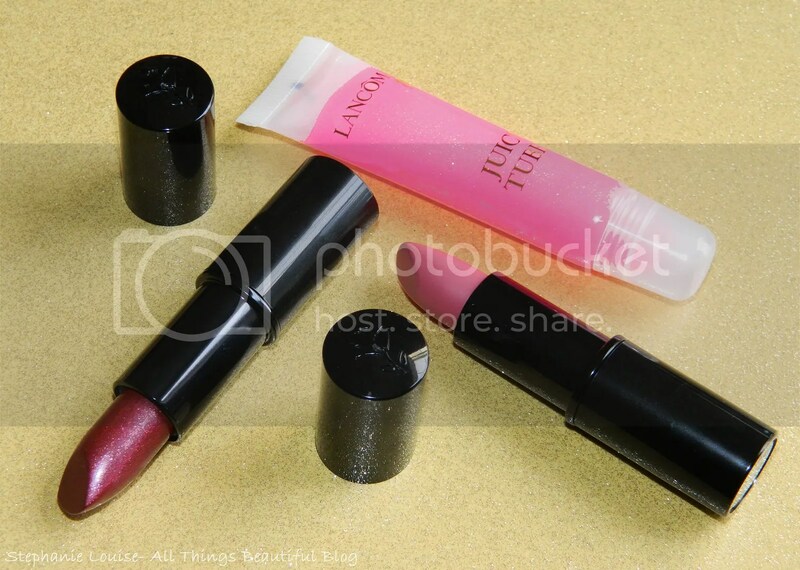 This was a really nice deluxe sample, about the size of a Lancome Deluxe Juicy tube. 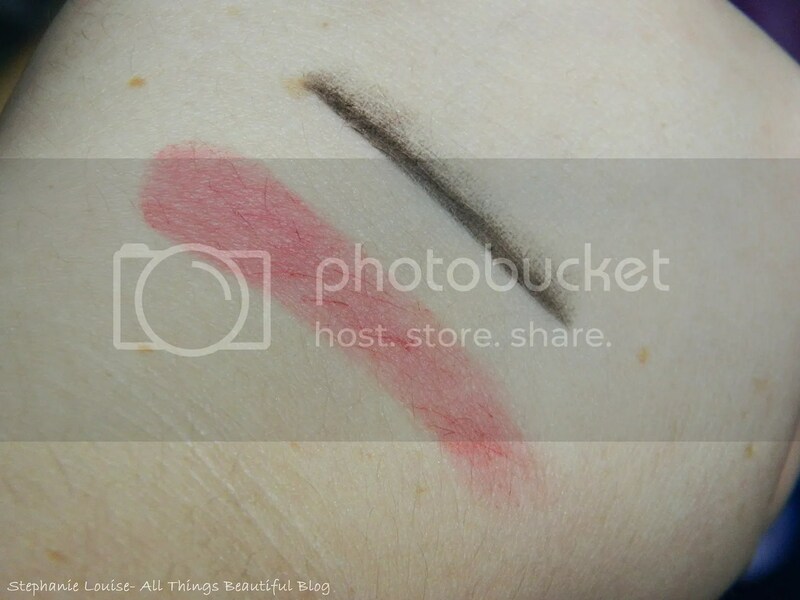 It helped my foundation apply much smoother & lasted throughout the day. 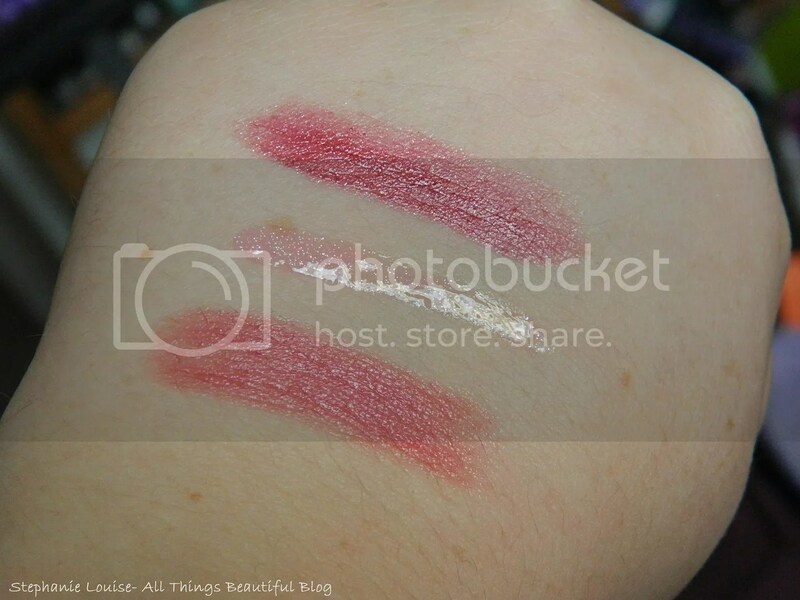 Lancome Genifique (Deluxe Sample)- This is a sample that I absolutely love. I’m a serum gal big time, they are necessary with my dry skin especially during colder months. Obviously I’m not too up there in years yet but I did actually notice the brightening type affect which I wasn’t getting with my prior serum. I’ve been living off samples because 1 fl oz is $82 which is just plain depressing. This sample (the the others I’ve hoarded) are 0.27 fl oz which is an excellent value & the packaging with the dropper is quite nice as well! Lancome Bi-Facil Eye Makeup Remover– This is a product I’ve been using practically since birth. For me personally, it isn’t holy grail but I do quite like it. I constantly have bottles floating around to touch up my undereyes or eyeliner. Sometimes this can mess with the eczema around my eyes a bit so I have been reaching for my Sephora Supreme Cleansing Oil which I reviewed recently. If you don’t have dryness I think you’d really like this. This is a full size which is worth a solid $28. 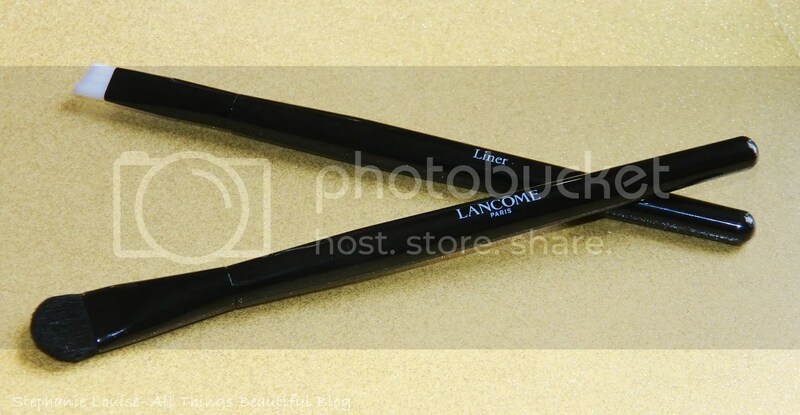 Lancome Liner Brush & Lancome All Over Shadow Brush- I didn’t find these on the site so they might be exclusive to this set? They’re very basic brushes & although they don’t feel all that luxe they’re useable. For me personally the All Over Shadow Brush is a bit rough & I’ll probably use the liner brush to place shadow under my eyes. Lancome Hypnose Drama Mascara– If you haven’t tried this mascara I highly recommend it! This is a full size & goes on a nice shade of black. The brush/wand is really different & I didn’t think I’d like it but it provides nice volume & length while somehow not flaking which I tend to have a problem with. The S shape brush really works! 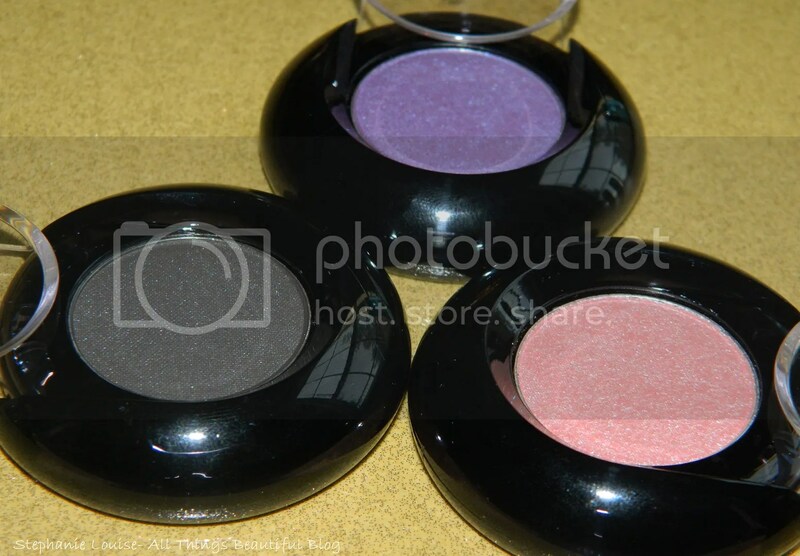 Lancome Color Design Eyeshadow in Drama– A violet with a blue sheen. Very pretty & I had actually almost purchased this awhile ago so I saved some money! This isn’t a crazy unique color to my collection but I really like it on my eye color & it applies nicely. 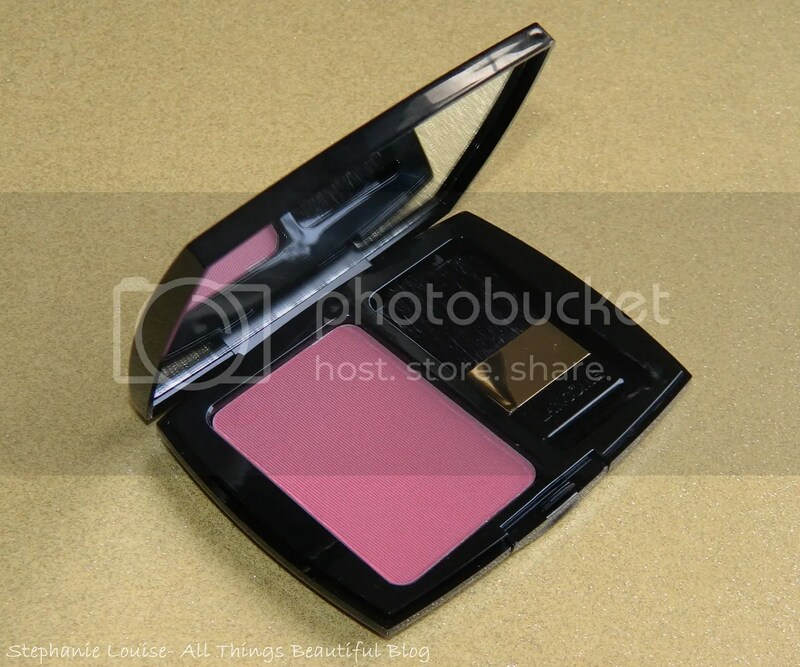 Lancome Color Design Eyeshadow in Off the Rack– This is a metallic very light pink. Much more opaque wet. Not really a shade I would have chosen for myself but it looks more peachy on my eyes which makes it a lot more wearable. 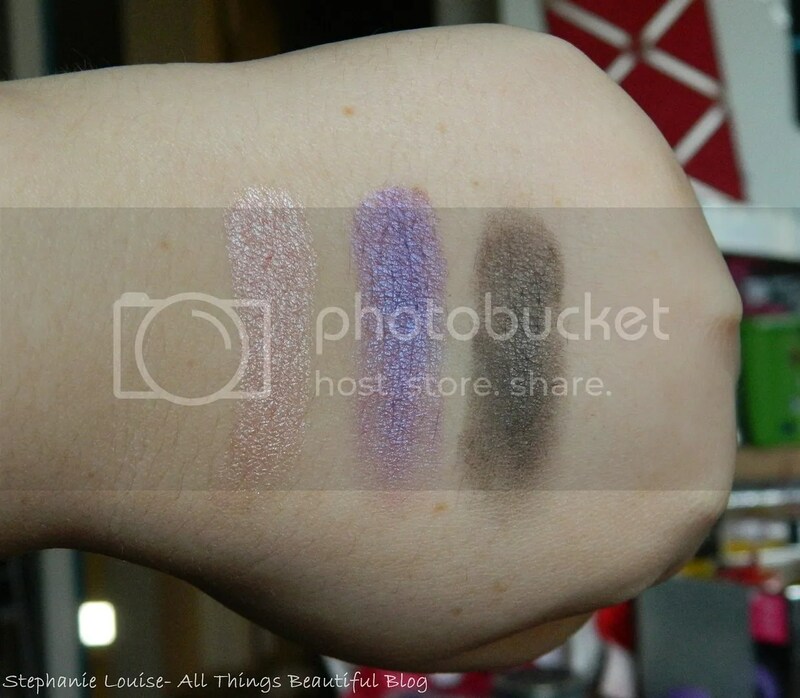 Lancome Color Design Eyeshadow in Clock Strikes Twelve– This is probably my least favorite shade because it says it is a matte but it has some silver shimmer & the pigmentation just isn’t there. I’ll be using it to darken up my outer crease here & there I think. 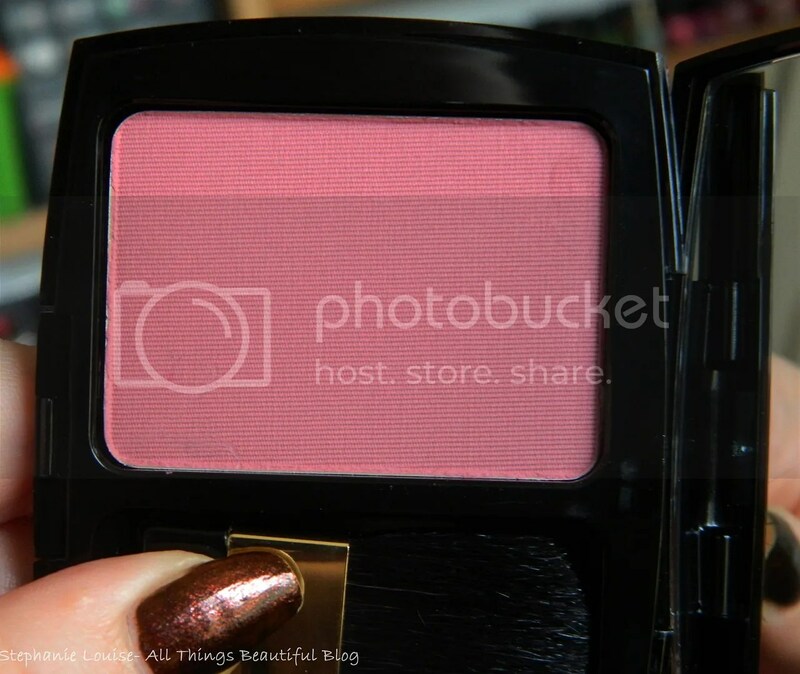 Lancome Blush Subtil in Rose Fresque– I really love that the blush they included was matte, so much more versatile so I’ll likely wear it more often during the holidays when my eyes or lips are bold. This is a matte dusty rose & also full size. Application is easy & these wear quite nicely on me. Lancome Color Design Metallic Lipstick in Fashion Icon– This is one I am still trying to figure out if I like or not because I so rarely reach for metallic lipsticks. This is described as a berry/plum metallic but sometimes it looks a bit brownish to me. Still deciding! 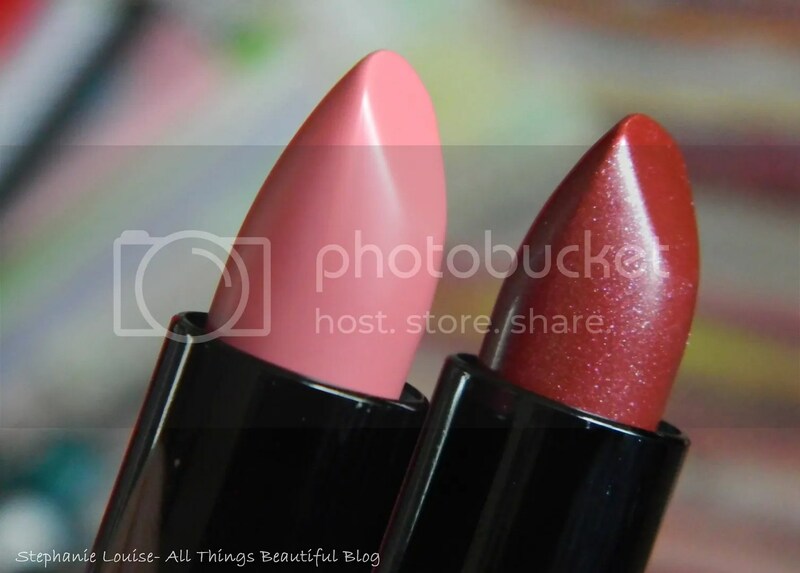 Lancome Color Design Cream Lipstick in Love It– This is one of the main reasons I bought this kit- Love It is one of my favorite shades of all time. It is one of the only lipsticks I’ve ever finished & this ultra creamy, dusty pink is totally a me shade. Lancome Juicy Tube in Miracle– I’ve been wearing Juicy Tubes since middle school so they hold a special place in my heart. The shade Miracle is a sheer pink with icy sparkle. Although I now buy from tons of different brands, Lancome holds a special place in my heart as my first high-end purchase with my own money from a makeup brand. I bought myself a full sized Lancome Juicy Tube, oh sweet memories. I think Lancome products still have that sense of luxe mommy makeup to me & I can’t help but think back to the good ol days. This is a lovely set & if you use any of these products or have been wanting to try some, you’ll likely get a bunch of stuff for free because the price is so low. My favorites from this set are the Lancome Hypnose Drama Mascara, Lancome Genifique, Lancome Blush in Rose Fresque, & of course the Lancome Color Design Lipstick in Love It. I personally bought my set from the military BX but this is available on the Lancome website for $59.50 when you purchase anything else on their site. Thoughts on this set? Anything catch your eye? What brands are catching your eye this holiday season?